If you have been in the web marketing circle for very long at all, then you probably already know just how important it is to select the right keywords for your website and your content. What you probably don’t know, however, is exactly how to find those keywords. It’s a lot simpler than you may believe, but you need to have the right tool for the job. The tool that I’m talking about is, of course, a keyword research tool. 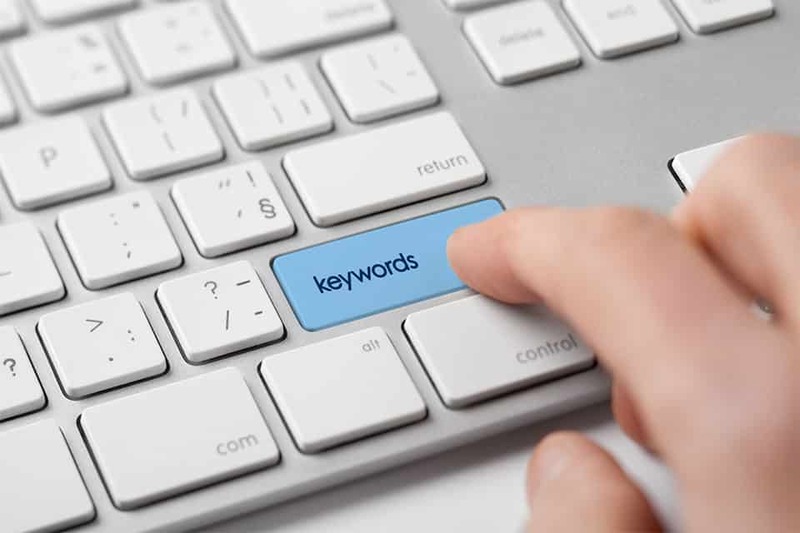 Personally, I have chosen Jaaxy as my preferred keyword tool, and as we go through the 3 essential elements of keyword research below, I’m sure that you will quickly understand exactly why I like Jaaxy as much as I do. When it comes to finding great keywords, the very first thing you need to know is whether or not anyone is actually searching for the keyword that you are thinking of using. You can determine this by looking at the “search volume” category in Jaaxy. Search Volume gives you a pretty good idea of how many people are looking for information on the keyword that you are considering to target. You will want this to be at least 300 searches a month so that you can see some decent traffic coming to your website, so long as you are able to get on page 1 of the search results. For example, let’s say that you have decided to start a fitness site and are looking for a great keyword related to treadmills. You may do a search for something like “best treadmill” and think you have instantly found a great keyword because it gets over 3000 searches a month. Unfortunately, while there are a lot of searches for that keyword, as we will discuss in the next element, there are also a lot of websites that are trying to rank for it. For this reason, you should avoid going after that keyword and instead opt for something such as “best treadmill for the money” which still receives a good amount of monthly searches, but there aren’t very many websites that are trying to rank for it. This brings us to the second thing that you have to take into consideration when trying to find the best keywords to use. This is known as the competition volume, or if you’re using Jaaxy, the QSR – which is short for “Quoted Search Result”. While there are a lot of great keywords out there that get thousands of searches every month, many of them are already very hard to rank for due to the number of existing websites that are already trying to rank for them. Thankfully, this doesn’t mean that it’s impossible to find quality keywords that you can rank for on the search engines. You just have to understand how much competition is often too much. If you’re using Jaaxy to do your keyword research, you are going to want to always make certain that you are targeting keywords with a QSR of 300 or less. By doing this, you will give your content a much better opportunity of climbing to page 1 of the search results. So, let’s take a moment to look at those treadmills again. The keyword “best treadmill” has a very high QSR of 348. This means that there are at least 348 sites that are actively trying to rank for the keyword. On the other hand, while it didn’t have as many searches, the keyword “best treadmill for the money” has a much lower QSR of only 79. This means that there far fewer sites out there that are trying to land on page 1 of the search results. Now that you understand how to see the volume of sites that are trying to rank for a keyword, it’s time for you to learn how to determine if you could possibly outrank the sites that are currently on page 1 of the search results. When you are trying to determine whether or not you can potentially rank for a keyword on the first page of the search results, you want to look for a couple of things. First, you need to make certain that the entire page isn’t already filled with high authority websites such as Wikipedia or the New York Times. Another thing to look out for are sites that end in .gov or .edu as these are typically considered to be high authority sites. Second, you need to avoid keywords that have a large volume of e-commerce sites in the first page results such as Walmart or Amazon. You will typically find these types of sites for product related keywords, and can use a variety of Amazon seller tools to get an inside look on the most profitable keywords and/or products in the niche. Let’s take a look at the results on page 1 for the keyword “best treadmill” for example. As you can see, the top results on page 1 of Google are really powerful authority and e-commerce websites. It would be pretty tough to outrank these sites without putting in a lot of time and money to do so. On the flip side, let’s take a look at the second keyword “best treadmill for the money”. As you can see, the majority of sites that are on the first page of Google for that keyword are small blogs that you could potentially outrank with a quality piece of content that correctly targets that keyword. The key points to take away from this are to always look for keywords that have an average search of at least 300, a QSR of less than 300, and don’t have too many authority or e-commerce sites ranking on the first page of the search results. Take the opportunity to invest in a quality keyword tool such as Jaaxy, follow the steps outlined above, and create quality, engaging content, and you will find your site quickly rising to the top of the search results as more and more people view it every day. Keep in mind that the more visitors to your website, the more likely you will have a higher conversion ratio thus earning more sales, leads, and commissions. And it all starts with proper keyword research. Wow! It was a big help in keyword research Jay. This is what exactly I’m looking for. I like your blog. every article is perfect. But I have a question in this article: I see above pictures and wonder how do you know which site is authority site or small blog. I cannot see any difference between them. Usually by looking at the site, you will see if it is an authority site based on the volume of content and how commercial it looks. When you become immersed within your niche, you can spot these out right within the SERPs. Jaxxy is a handy tool, but after using it for a while, i noticed the search volumes were drastically different than those in the google keyword planner tool, or longtail pro. some would be way more, while others much less than the stats shown in gkwp or longtail, any idea how they scrape their search volume stats?